We believe that every pet is an individual and should be treated as such. 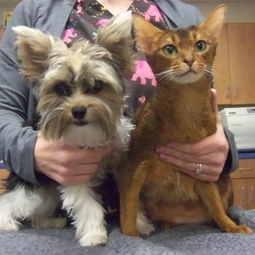 We will customize a vaccine protocol that is appropiate for your pet's age and lifestyle. Not every pet needs every vaccine every year. We send reminders via email and post card to assist you in keeping everything current for your pet. PLEASE CALL BEFORE COMING IN WITH AN EMERGENCY TO ALLOW FOR PREPARATION!